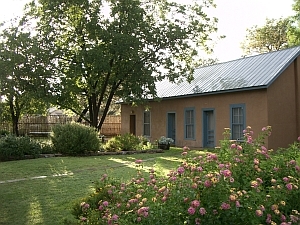 Restored adobe house in the heart of town. 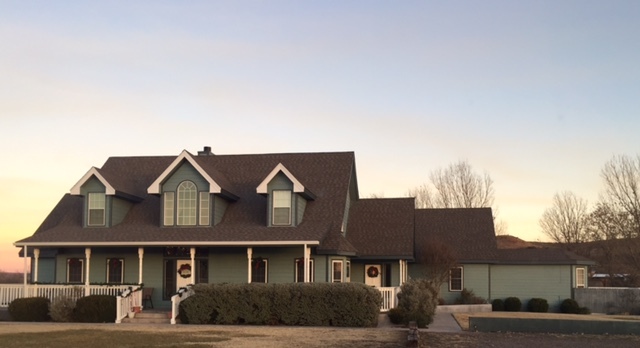 This home has 4 bedrooms, 3 full baths and easily sleeps 11. The huge kitchen is fully equipped and the dinning room seats 12 people. 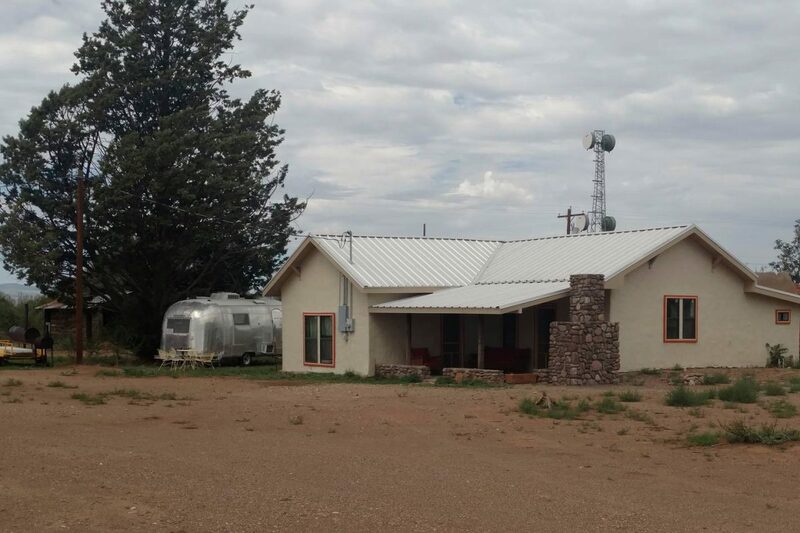 If you’re looking for a charming hideaway in far west Texas, then check out Casita Catclaw. 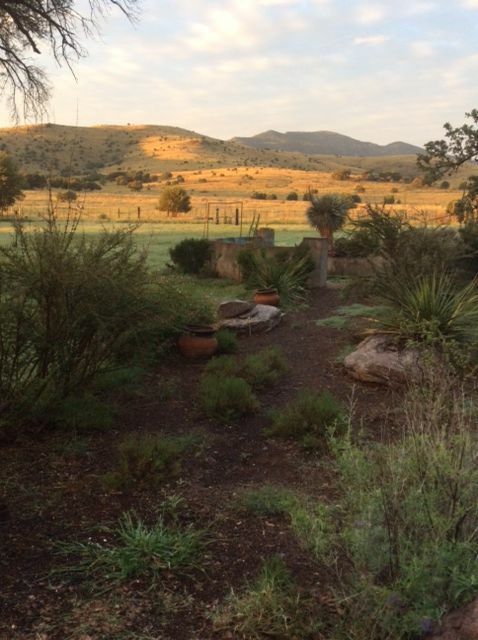 Casita Catclaw is secluded, sitting on the edge of Fort Davis and is ready for two to four people. There is a queen bed in the bedroom and a full sized sleeper sofa in the living room. 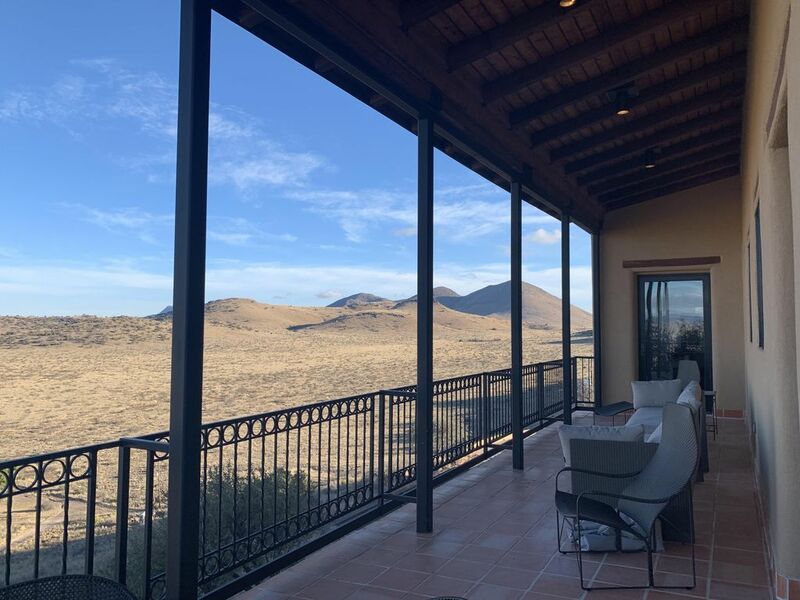 View local fauna such as mule deer and javelina from the awesome wrap-around porch, select a film to watch from the video library, or simply listen to the gentle far west Texas winds and unwind. 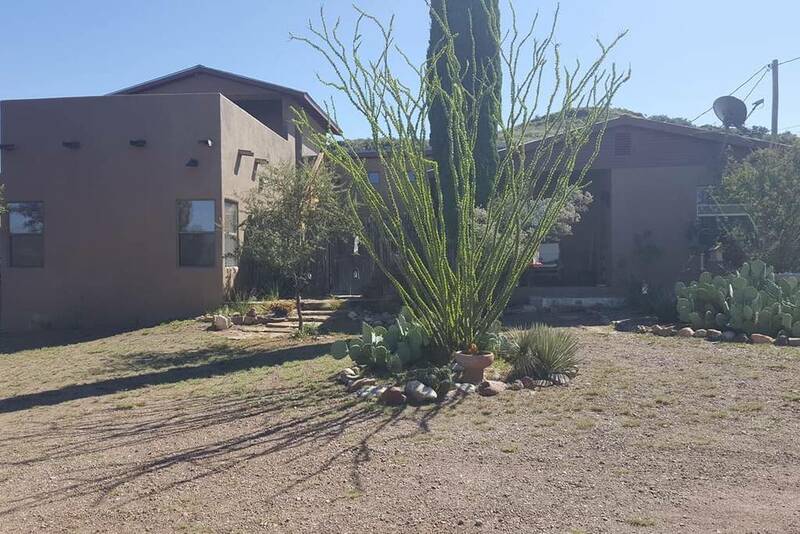 Casita Catclaw is a nonsmoking facility, child-friendly property (age 13+). 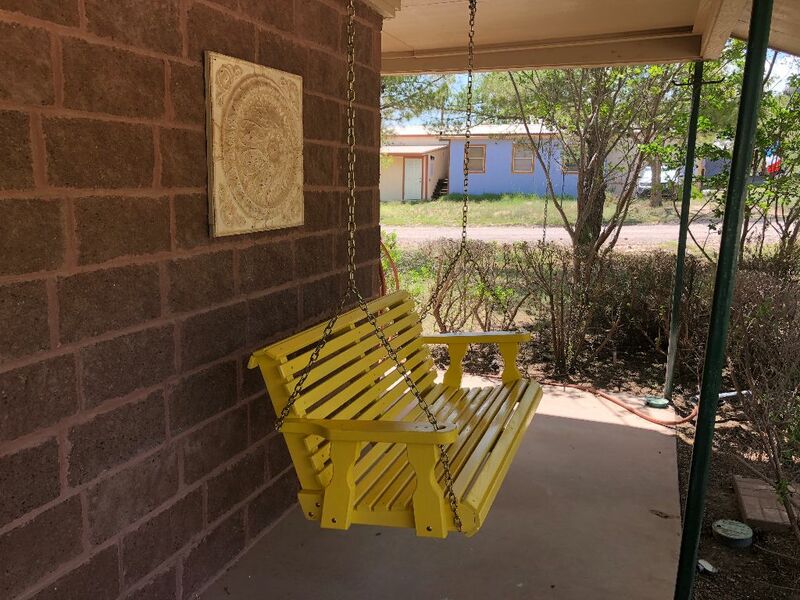 Check out Casita Catclaw on AirBnB. 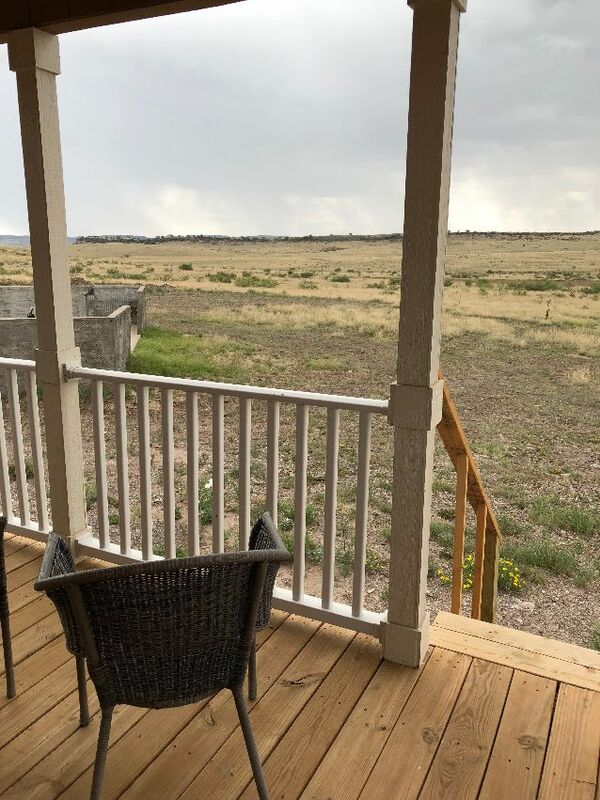 One- and two-bedroom Country Cottages feature private porches with sweeping views of high dessert grasslands and Sleeping Lion Mountain from a hilltop overlooking the town of Fort Davis. 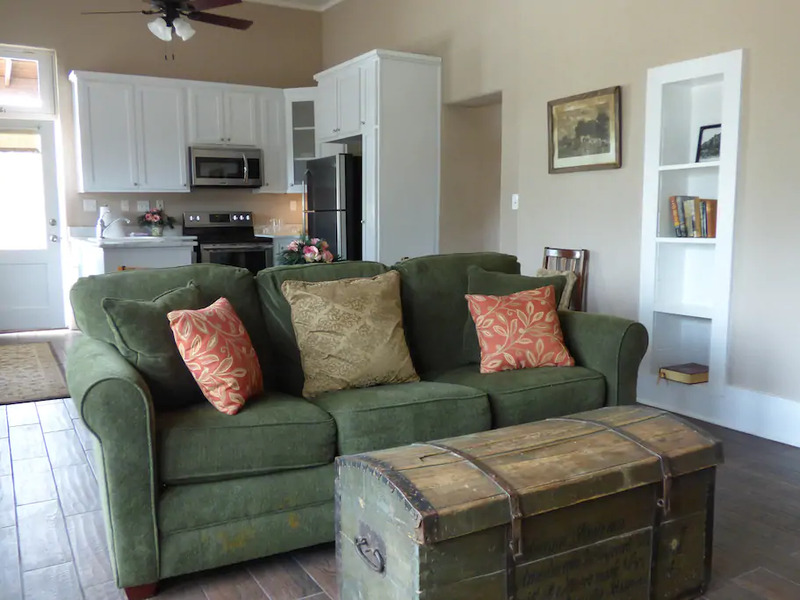 Each cottage features a master bedroom with a queen size bed; private bathroom with shower; full kitchen, dining table and chairs; living room with queen size sofa bed and easy chair and smart TV for watching paid subscription services (you must have your own account). 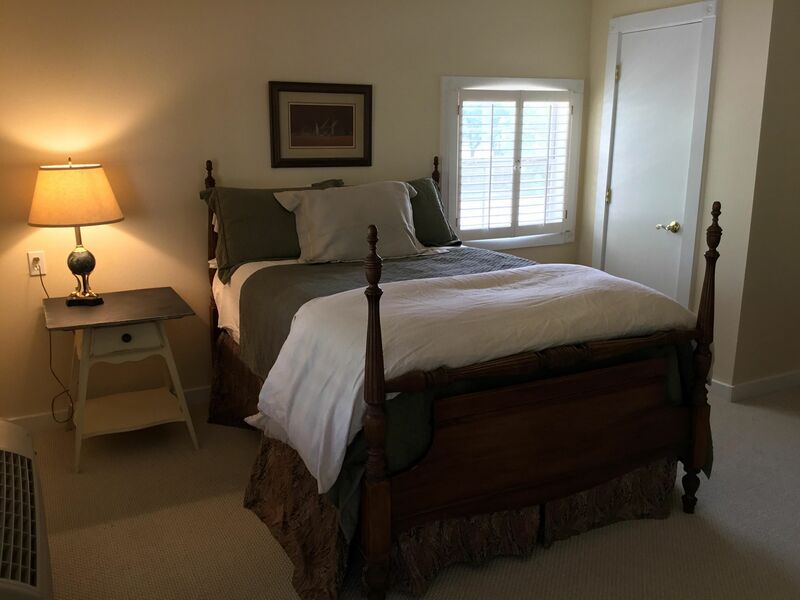 The two-bedroom cottage adds a second bedroom with a twin size day bed and trundle. Cots & sleeping bags are available for additional children. The entire property is outfitted with red porch lights to keep the night skies dark and optimal for star gazing or astro photography. 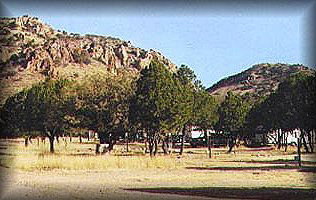 Located 7 ½ miles from Fort Davis at 1900 Sproul Rd., the H.E. 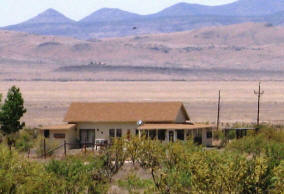 Sproul Ranch is a historic working cattle ranch offering guest suites, catering and meeting facilities. 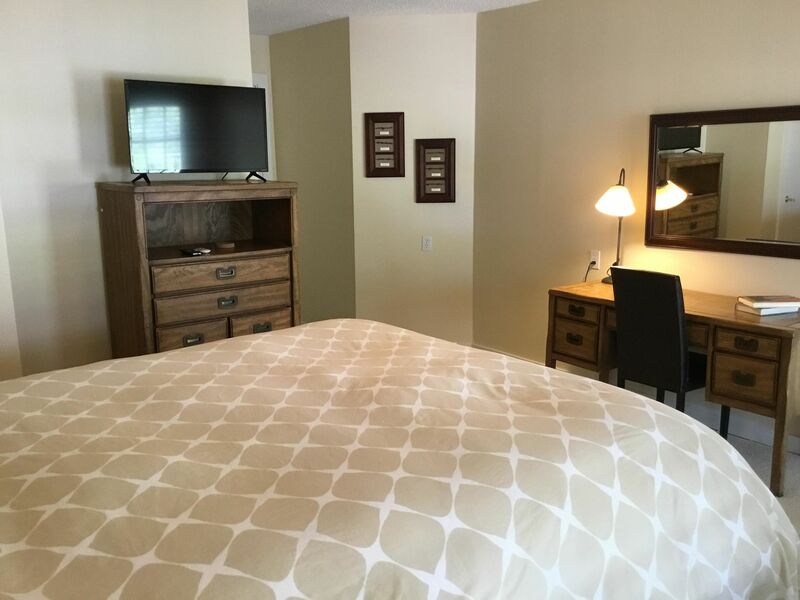 All suites offer the latest amenities, including refrigerator, microwave, satellite tv, dvd player, coffeepot, internet access, pillow-top mattresses and quality linens. This tour is a true 4×4 experience. 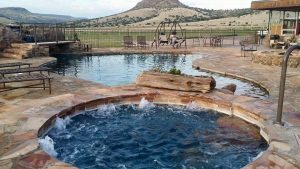 You will travel to the top of Cook Mountain overlooking the ranch headquarters and be able to view magnificent mountain scenery in every direction. 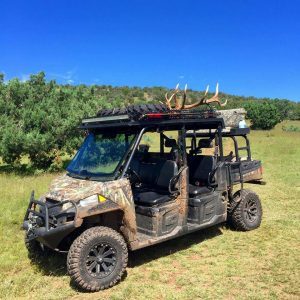 You will also have a chance to view abundant native wildlife, including mule deer, white tail deer, aoudad, javelina, many species of birds and more! The trip ends in Frasier Canyon, which is filled with native trees and plant life, including Oak, Alligator Juniper, Madrone, Ponderosa Pine and more. Frasier creek also runs seasonly. 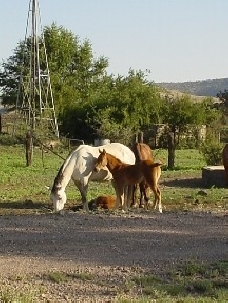 For pricing please call 432-426-2500. 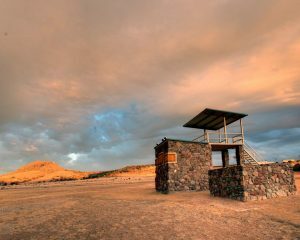 Built in 2005, our sporting clay range includes custom built trap tower with three throwers and four shooting stations. All action is controlled by remote from the twenty-foot oversvation platform above the tower. All guns and ammunition are provided. For pricing please cal 432-426-2500. Originally built in 1898 as a summer home by the Spencer Gregg family, the Webster house was purchased by John Webster in 1917 and remained in his family for three generations. 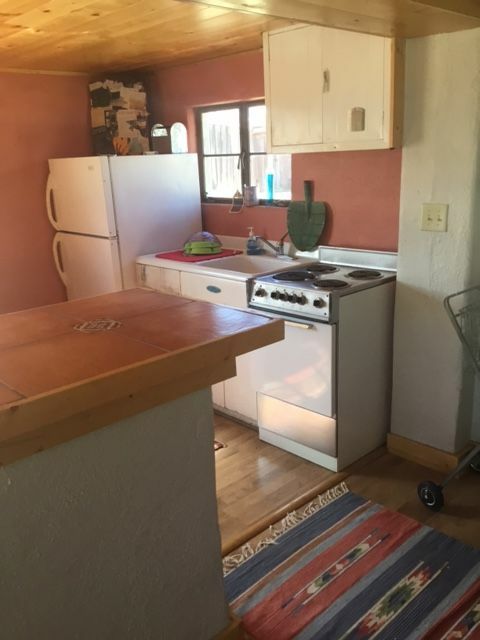 Even today, it still has the original fireplaces and wood floors. 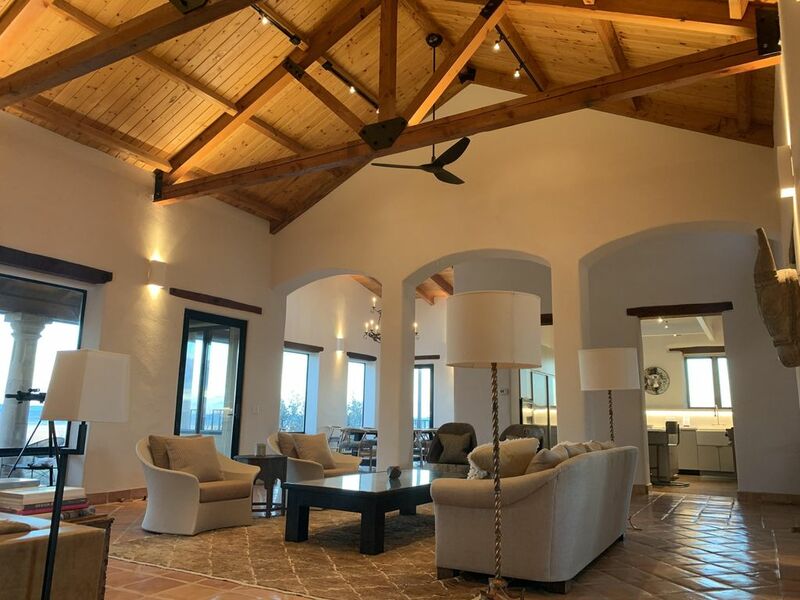 The spacious bedrooms, high ceilings, and over-the-door transoms give the house an open, welcoming feeling, and it can easily accommodate a large family or group of fellow travelers. 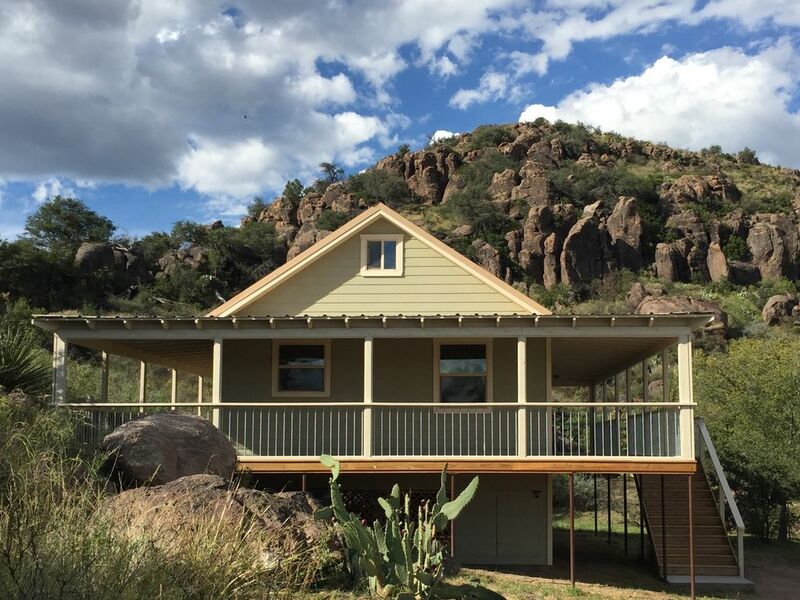 You can relax on the front porch under century-old pines, or enjoy desert plantings of sage, agave, and ocotillo in the garden while sitting on the bench looking over Sleeping Lion Mountain. 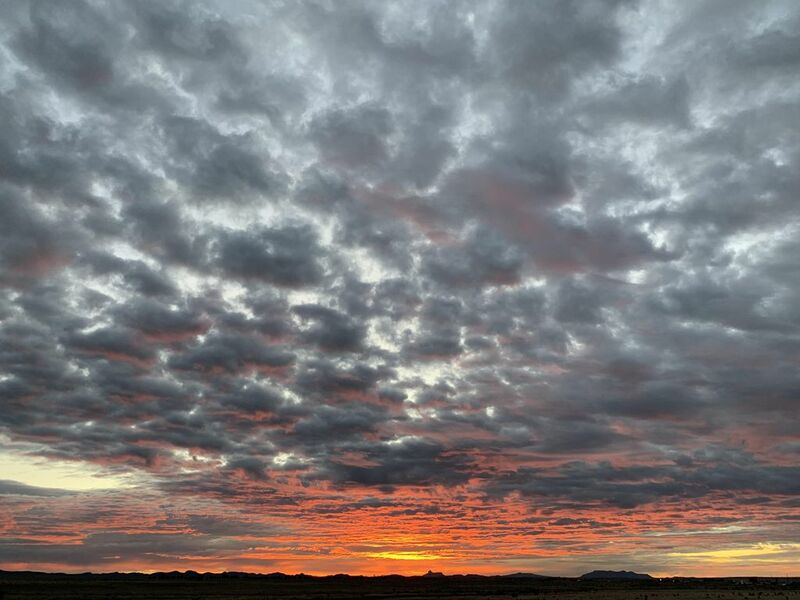 Explore the Davis Mountains State Park, just down the road from the Fort Davis Historical Site, and on the way to the amazing McDonald Observatory where the views are great, the skies are dark, and the stars are stunning. 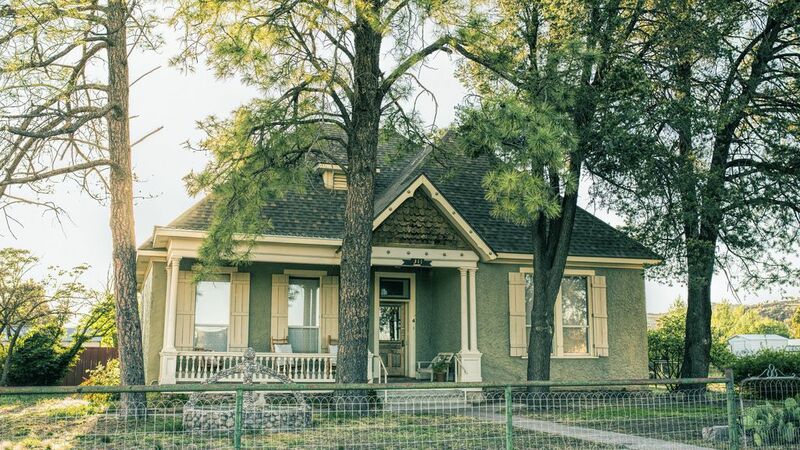 Fine dining and interesting shops are all within a 2-block stroll of the house, and the nearby towns of Marfa and Alpine are each only a 20-minute drive away. 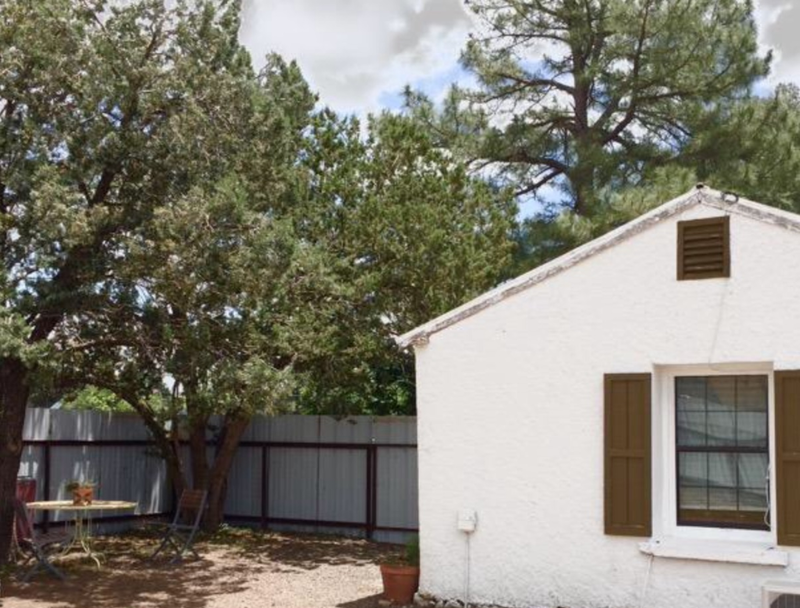 The fully fenced yard with pine trees creates privacy for this small cottage with a double bed en-suite bedroom, wifi and separate kitchen. 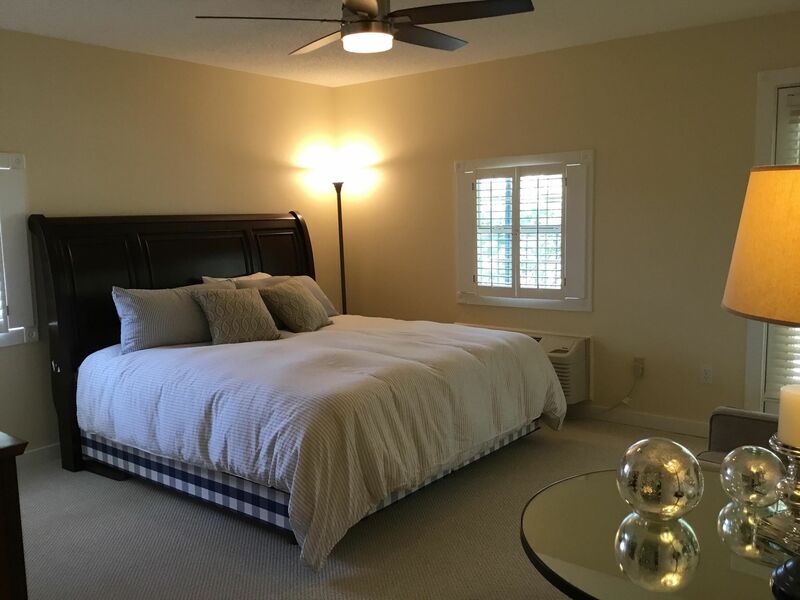 There is a 2 night minimum @ $125 a night including taxes and cleaning. $675 per week. 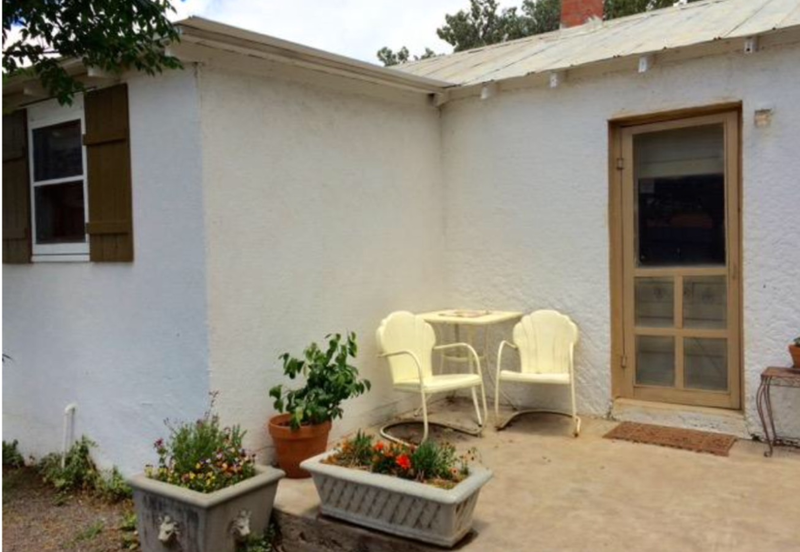 The cottage is just a couple of blocks from the Fort Davis courthouse. 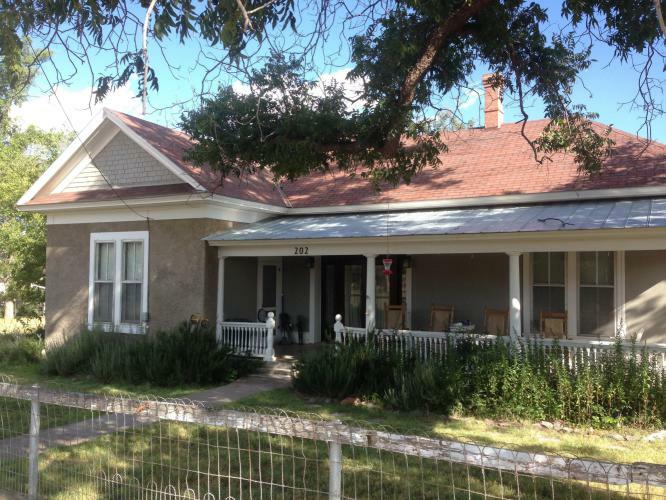 Please contact historicwebsterhouse@gmail.com or Elissa (432)249-0020 for availability. This is a non-smoking property. Pets are allowed for a non-refundable fee. 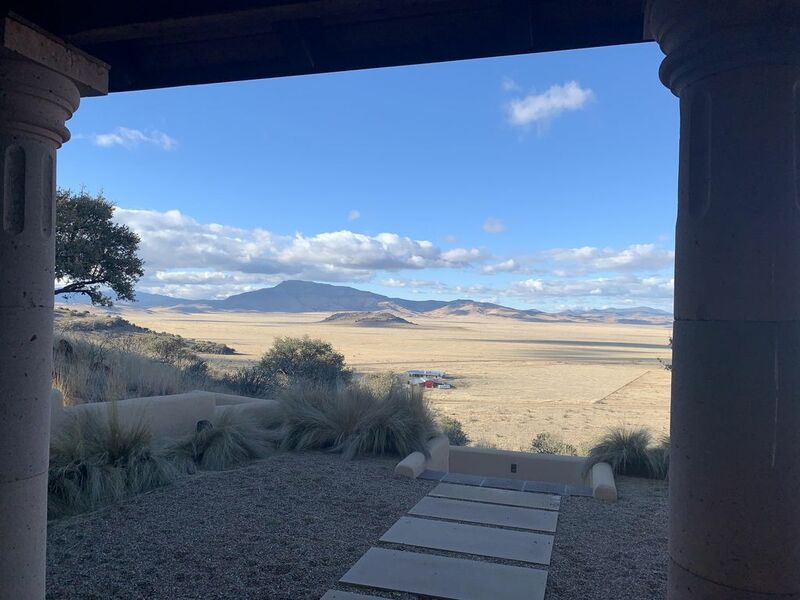 Mountain Shadows Hacienda sits atop the Puertacitas Mountains in Mano Prieto just minutes from the Marfa Airport and half-way between Marfa and Fort Davis. 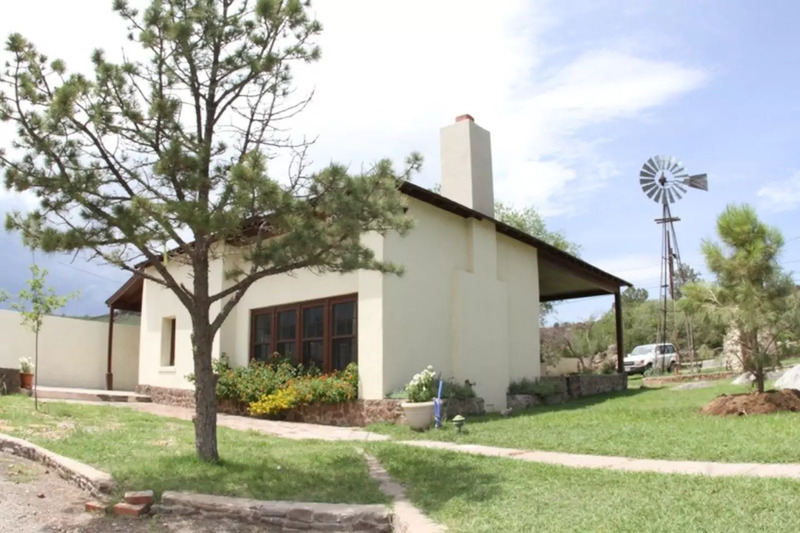 Commanding unparalleled views of the Davis Mountain Range and encompassing just over 100 acres. 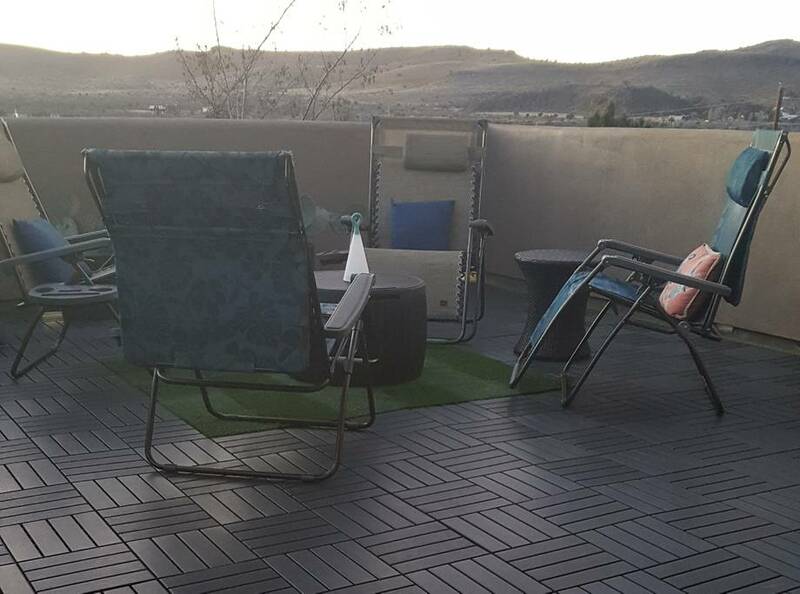 Relaxation is the point of Mountain Shadow Ranch and with this house boasting more than 6 outdoor balconies, patios & sitting areas it provides plenty of room to spread out and do just that- Relax. 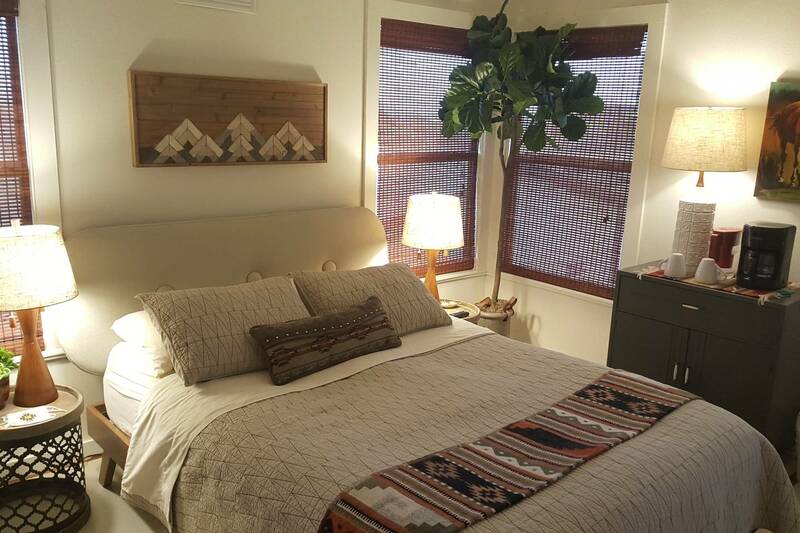 The Master suite has a King sized bed, step-out balcony, Spa-quality bath with steam shower & soaking tub, 10 huge windows for viewing spectacular sunrises & sunsets, the open range & Mountain Peaks, private TV sitting area and can be closed off for privacy. 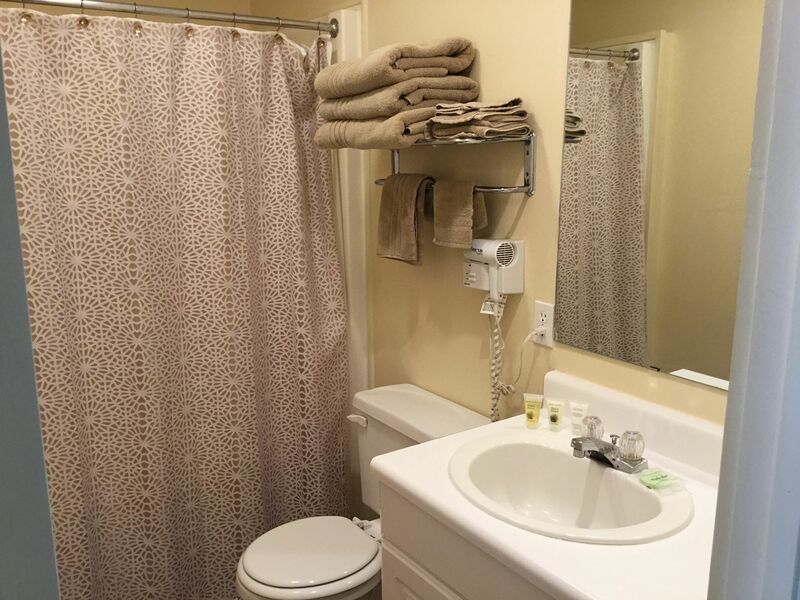 The two guest rooms are equally impressive in their appointments, privacy, and comforts. 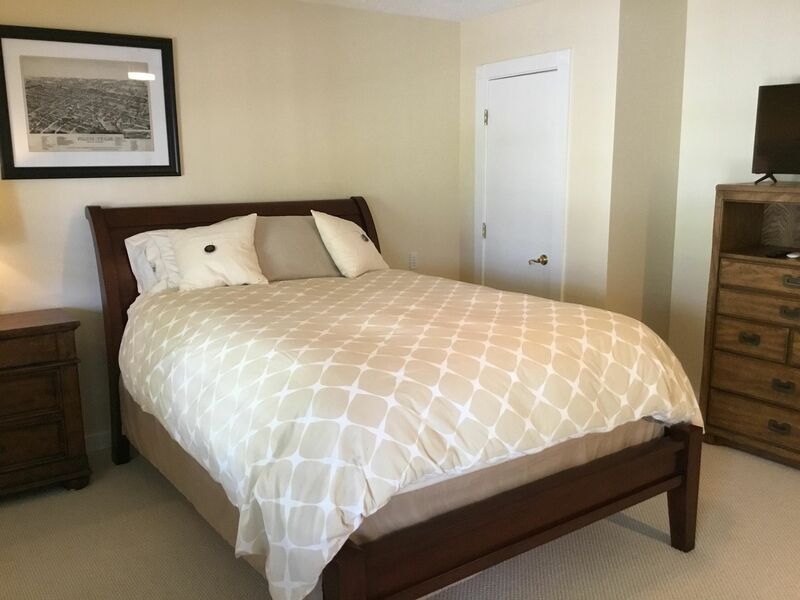 Guest room one has a king-sized bed and guest room two has twin beds both have en-suite baths. A Chefs kitchen is set up for hiring our Private Chef to prepare you and your party breakfast, lunch and/or dinner at your leisure though you are welcome to do your own thing too. 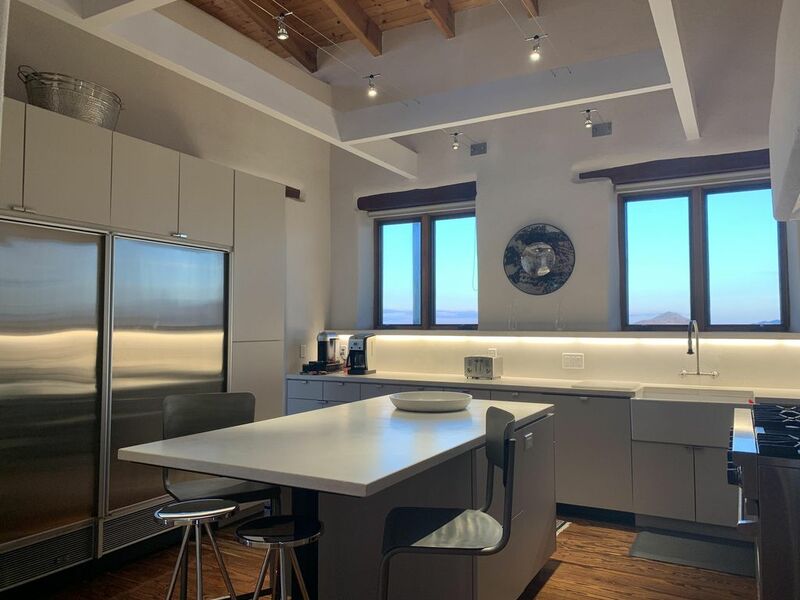 Outfitted with top of the line appliances, custom concrete counters, an 8 burner-double oven commercial stove, All-Clad Pots and Pans, William & Sonoma dishes and cutlery you’ll be in a cook’s heaven. Meticulously renovated over a two-year period this home offers a luxurious list of amenities and unlimited comfort. 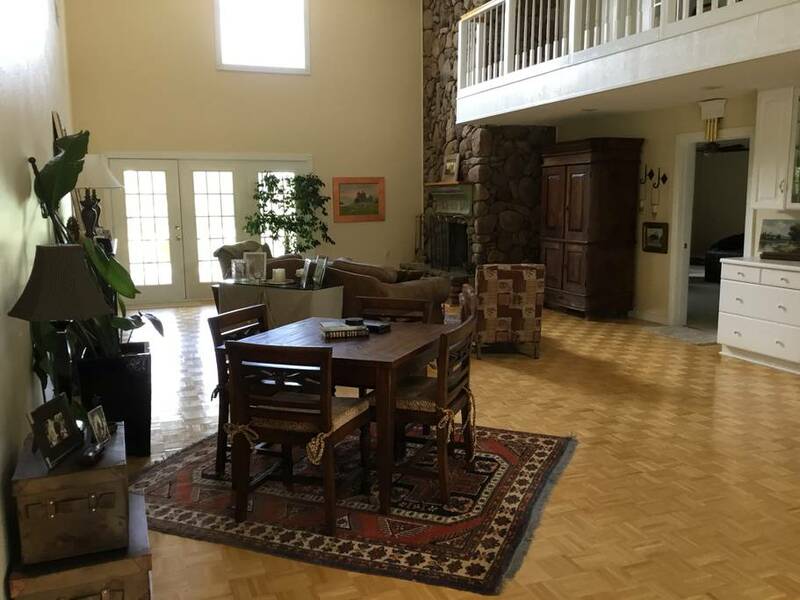 There is a dining room for 10, living room with two huge sitting areas, a bar with a card table & Billiards, TV room & Sun Room all opening up to the balconies and patios. 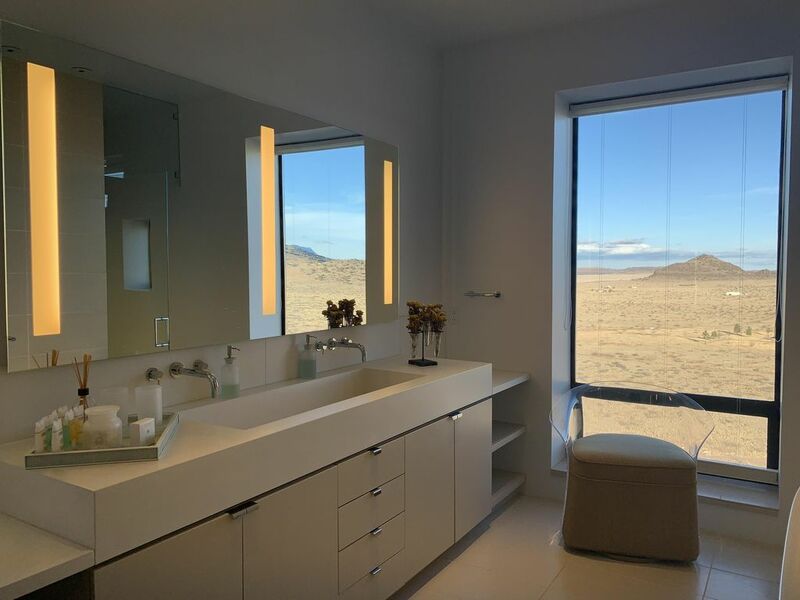 Each room and area has it’s own climate control and the house has Sonos music, wine refrigerator, ice maker, Lurton lighting system, landscaping, fruit & nut orchard & tons of “on-property” hiking opportunities. We would love to have you as our guests and welcome all inquiries. 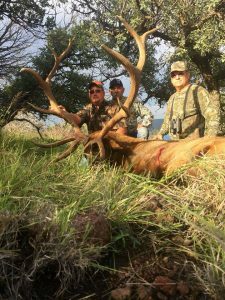 Let us know how we can help with your West Texas trip & plans. 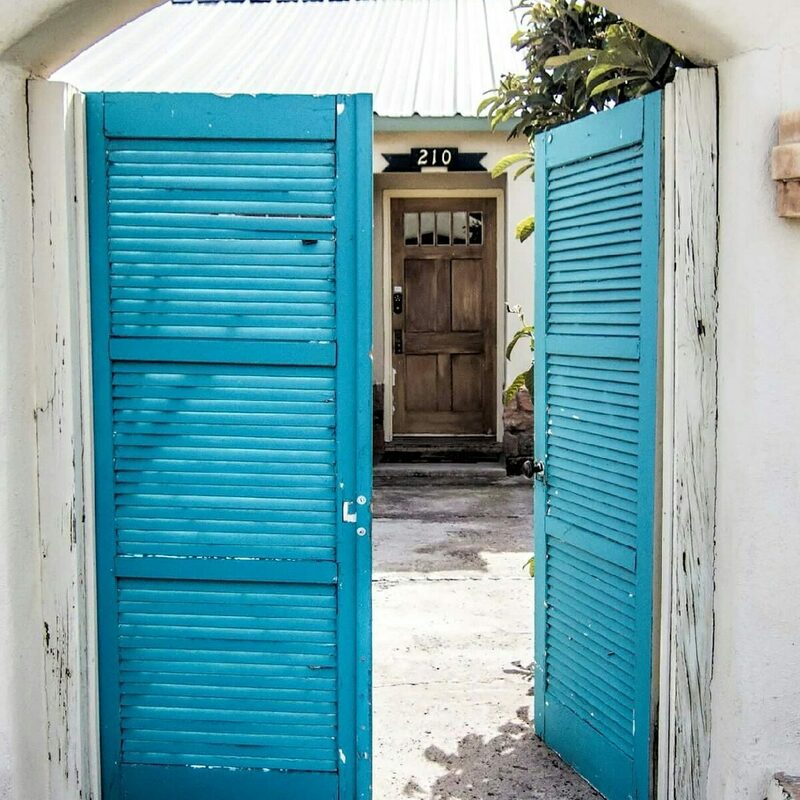 *Our services include helping you arrange local tours, airport pickups, car rentals, restaurant reservations, private chef & dinner parties, horse back adventures, weddings, women’s retreats, men’s retreats, yoga retreats, art events… You dream it up and we will help you make it happen! 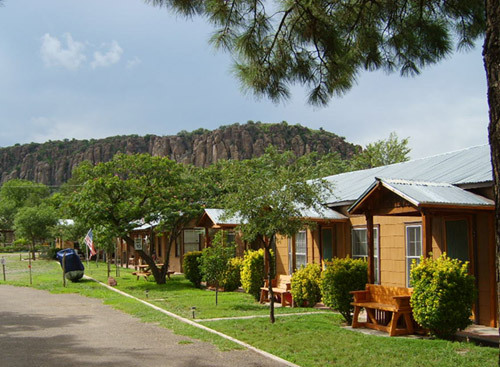 Cozy cabins resting on 10 scenic acres, less than a mile from downtown Fort Davis. 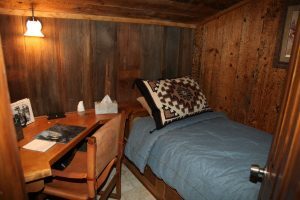 Each cabin features a kitchenette (including a microwave, coffee maker, and small refrigerator) and a private sitting porch. 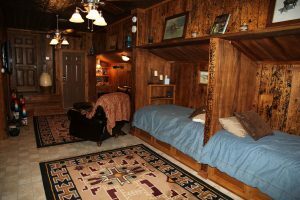 Our cabins have two full-sized beds or one queen-sized bed. All guests are welcome to cook out using our propane grill and sitting area under the pavilion, or use our gathering place/TV room for some family fun. 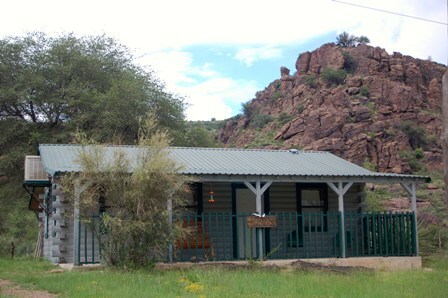 Free WiFi reaches each cabin as well as our outdoor facilities and the gathering place. Ask about our dining room and catering for special events. For rates and reservations visit our website, or give us a call. 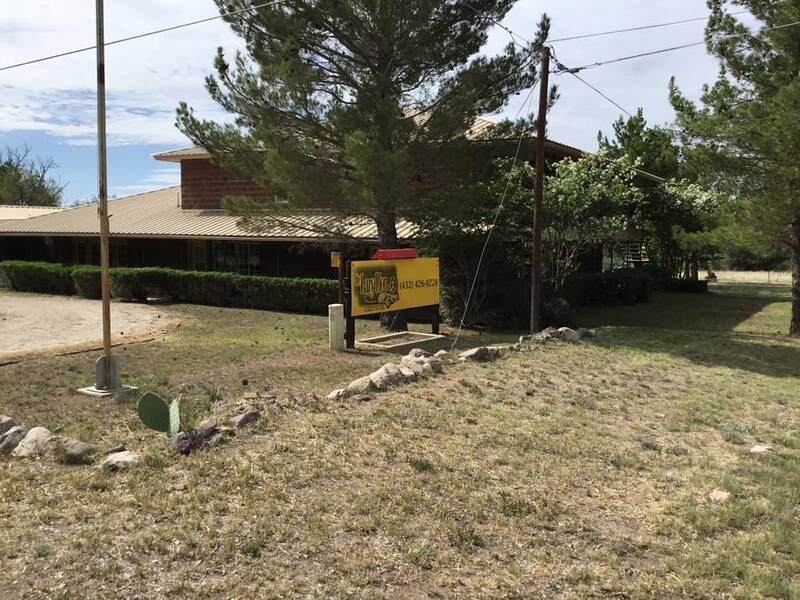 South Gate Lodges is located right behind the Fort Davis Chamber of Commerce and the Jeff Davis County Library. 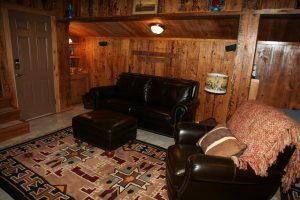 This is a comfortable facility that can house large groups or just a couple. Walk to downtown in 2 minutes. 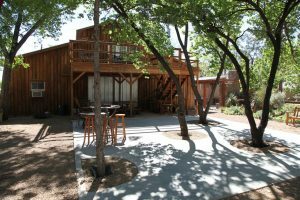 The covered deck breezeway is a comfortable spot to enjoy the outdoors and country feel even though it is close to main street. Entrance is from Hwy 118 just before the junction of Hwy 17 and Hwy 118 on the south end of town. This is our newest property. 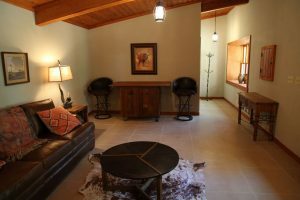 A large house with two one bedroom suites and two three bedroom getaways. A large front deck with great views. 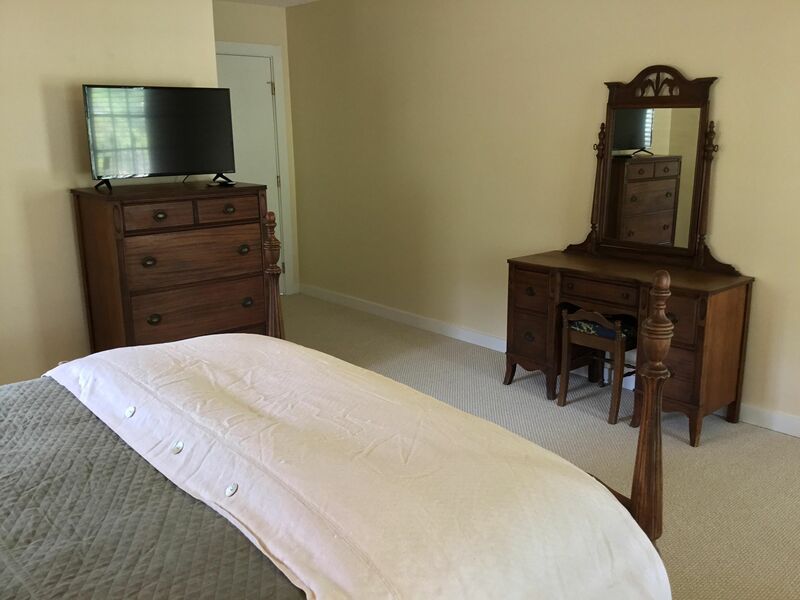 4 separate units, totaling 8 bedrooms all with New King or Queen Bedroom furniture, 4 living rooms, 2 kitchenettes and 2 full kitchens. Grassed yard with plenty of outdoor seating. 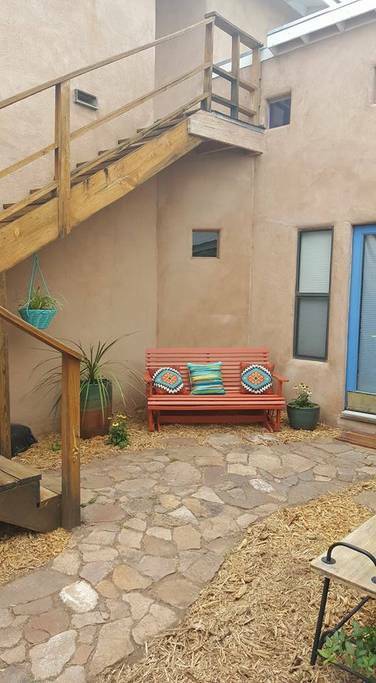 The Lazy Lion Guest House offers rooms with private entrances, private bathrooms, and shared communal spaces within walking distance to Fort Davis’ eateries and shops. 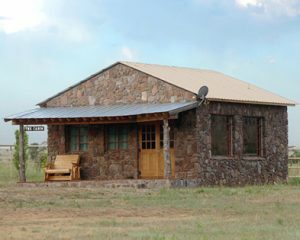 The Lazy Lion has full heating and A/C, Wifi with laptop friendly work spaces, television to help wind down after a full day of exploring, and more. 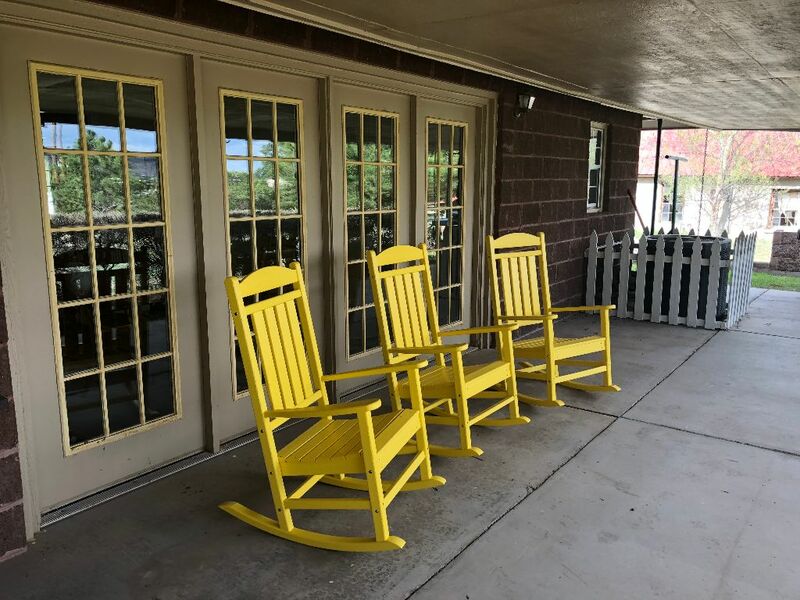 Enjoy the view of Sleeping Lion Mountain from our fabulous front porch swing! 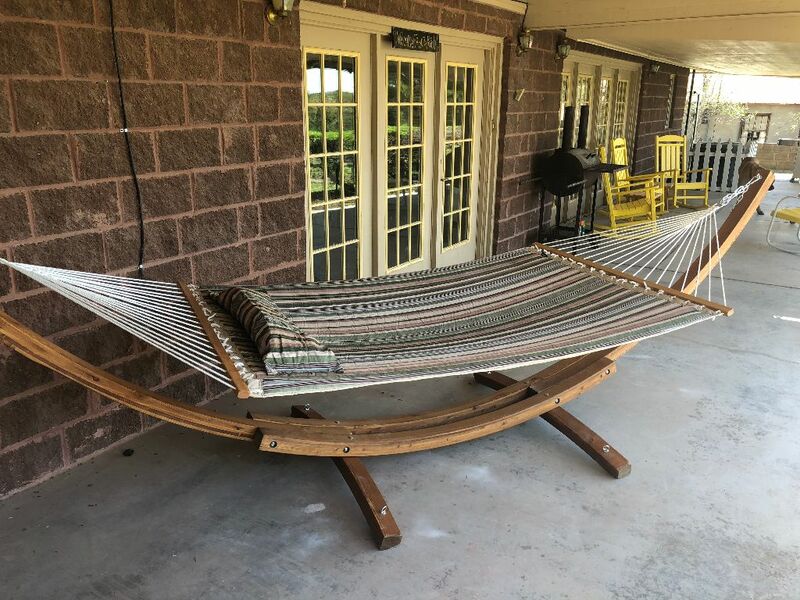 Our complimentary hammock is perfect for taking an afternoon siesta. Enjoy our fireplace while playing games in the Great Room. 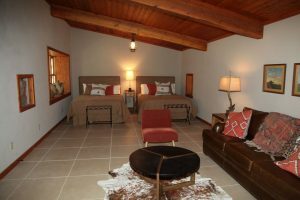 We are so excited you are considering The Hana Room at The Lazy Lion Guest House. 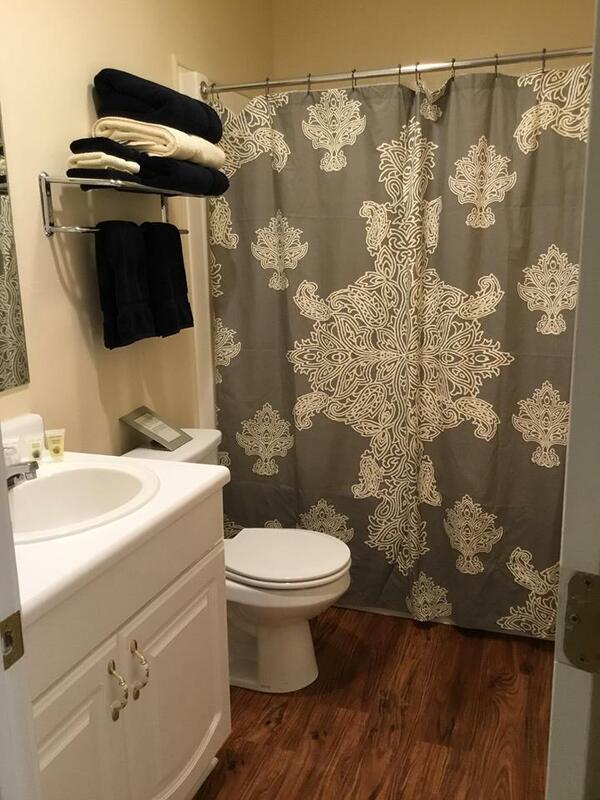 Your room with private entrance, streaming TV, private bathroom and use of all common areas in the house await. Conviently located within walking distance of our local shops and eateries. We can also help you plan your day trips to see all the local attractions. Please let us know how we can help make your stay more enjoyable. 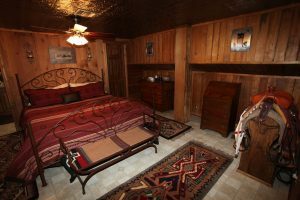 We are so excited you are considering The Texas Room at The Lazy Lion Guest House. 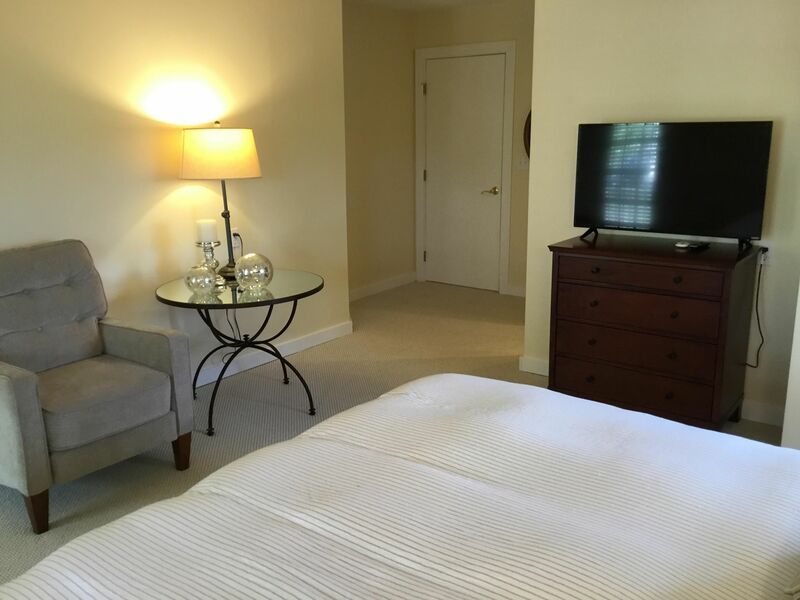 Your room with private entrance, streaming TV, private bathroom and use of all common areas in the house await. 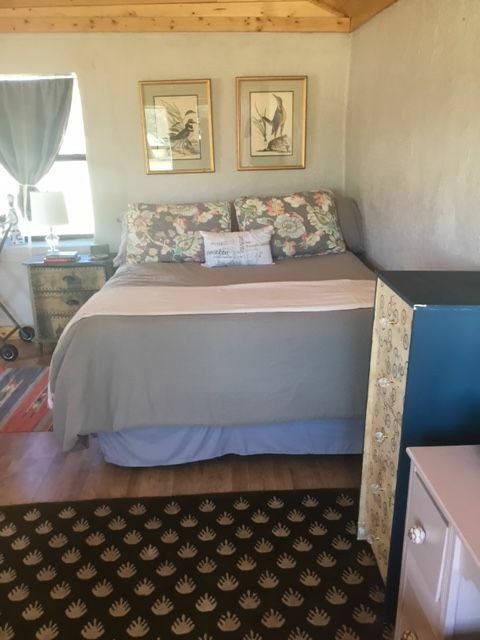 We are so excited you are considering The Victorian Room at The Lazy Lion Guest House. 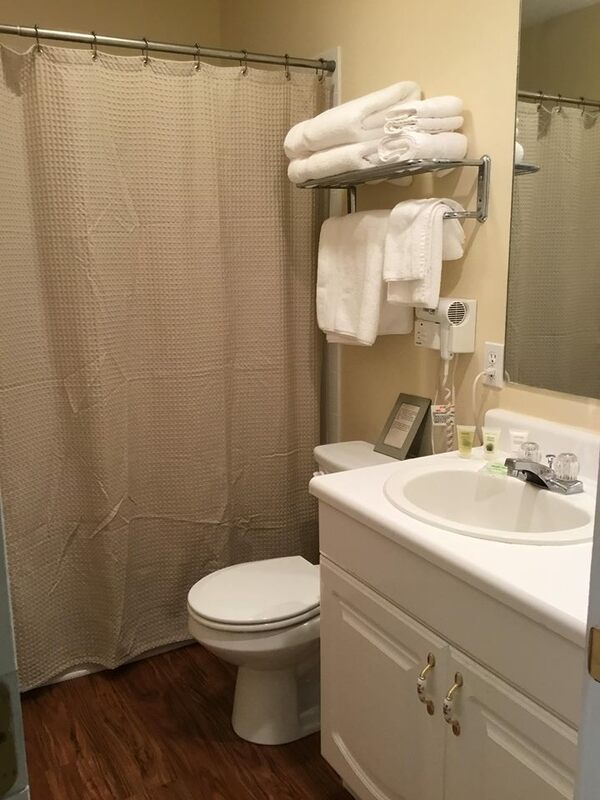 Your room with private entrance, streaming TV, private bathroom and use of all common areas in the house await. 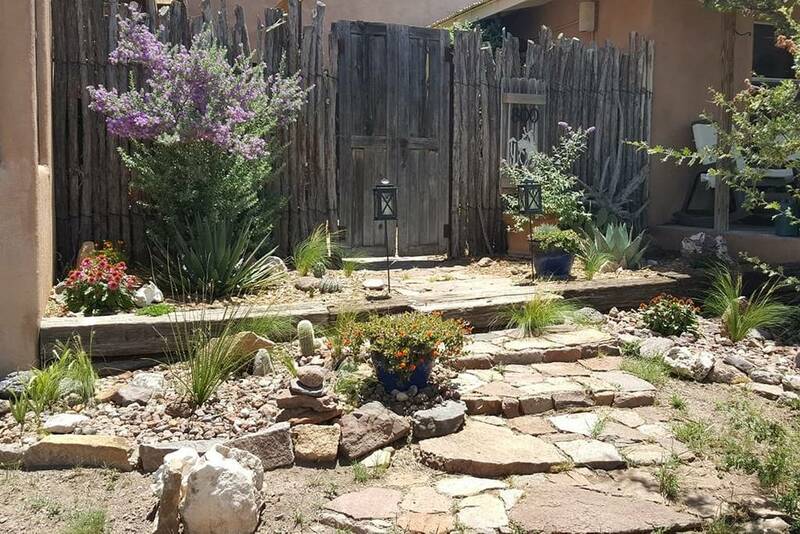 Enjoy scenic views of the area’s flora and fauna, dark skies, and starry nights in an original adobe casita at the foot of Blue Mountain. 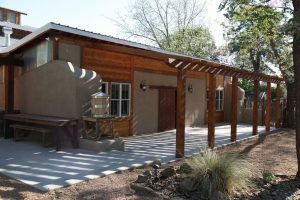 The casita is 400 sq/ft with a queen size bed, kitchenette, bathroom, large firepit, and flower gardens for your enjoyment. 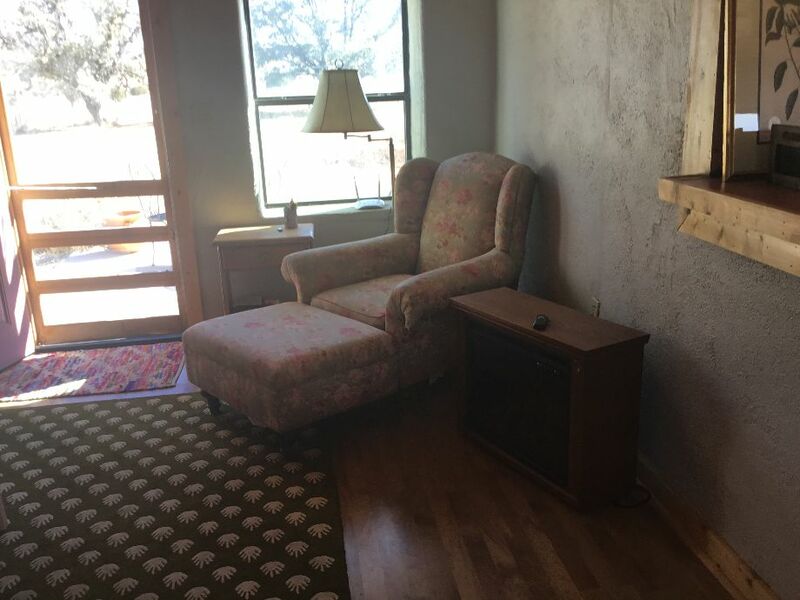 There is no television, but WiFi is available. 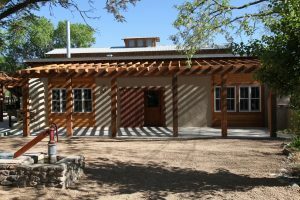 The Soap House is located seven miles outside of Fort Davis on HWY 118, making trips to McDonald Observatory, Davis Mountains State Park, and Prude Ranch convenient. And if you’re a birder – you’re in luck! 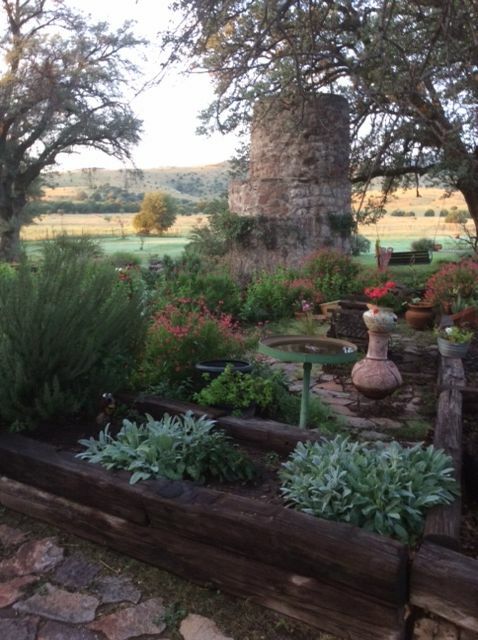 The Soap House is a host site during the Davis Mountains Hummingbird Celebration, with native birds on and around the property all year long. While you’re here, be sure to visit with local artist Randy Glover and see what silverwork and jewelry he’s got in shop! A room, a view, and a private deck. 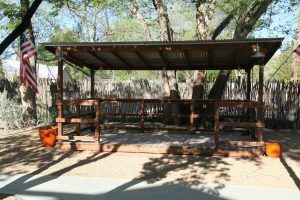 On the side of Dolores Mountain overlooking Fort Davis, The Treehouse is a grown-up version of your favorite childhood hideout. At the top of a private staircase in the courtyard, you will find an unexpectedly modern and comfortable retreat – perfect for relaxing after a day of exploring. 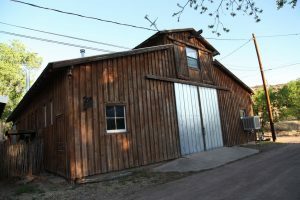 The Historic Carriage House is 1400 square feet with 2 foot thick adobe walls, oak floors, two bedrooms, large living room, fully equipped kitchen, and Italian country antiques. A full breakfast is included. 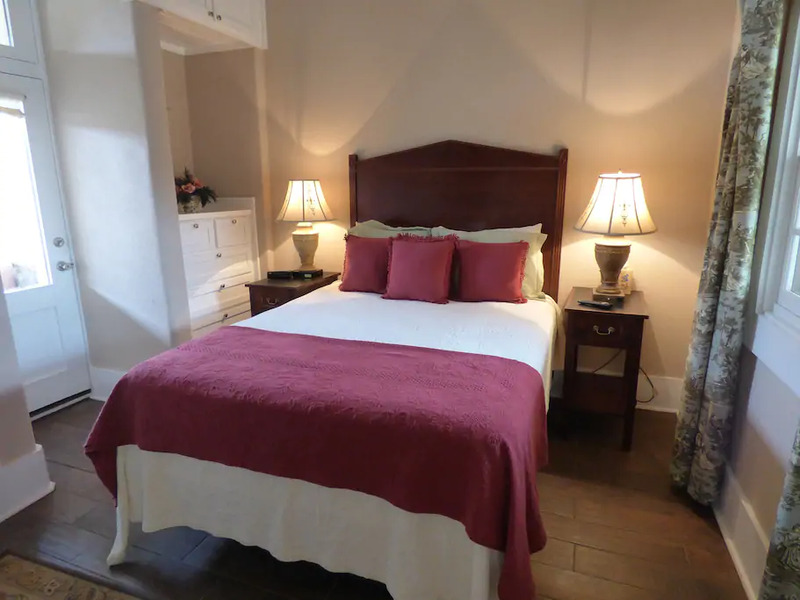 Located in a lovely garden behind the Veranda Historic Inn, two blocks from downtown.